Buying speakers, in contrast to what most people think, is not just a straightforward task. You would not want to go into an electronics or music store and buy the first speaker you see. If you want to get your money’s worth, it is better to know first the general differences between the types of speakers. In this article, we will discuss unpowered and powered speakers, and how to know what type is the right fit for your needs and wants. 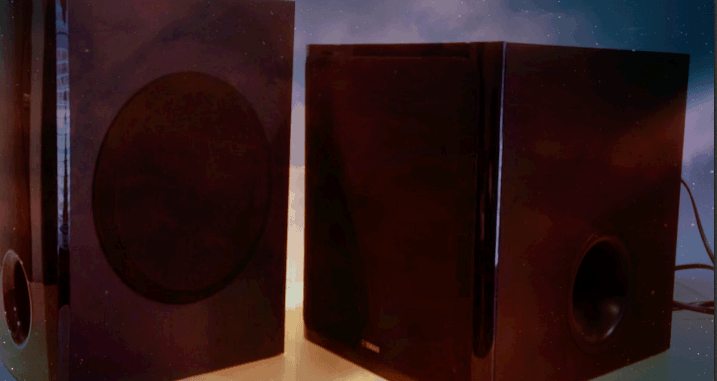 The key difference between powered speakers to unpowered ones is the presence of a built-in amplifier. An amplifier is an electronic device which strengthens an output signal. It picks up small input signal from a source then subsequently transforms its amplitude into a stronger one without altering its waveform features. Going back to speakers, a powered speaker is a stand-alone speaker because an amplifier is incorporated into the speaker itself. It’s the reason why an electric guitar, mp3 player, or whatever sound source can be connected directly to it and then played. Conversely, an unpowered speaker is just a plain speaker. A separate amplifier must be connected to it for sound signals to be directed from a source to the speaker. Now that you know the technical difference between the two types of speakers, you have to know their differences with regards to practicality. The following section will guide you on the things that you should consider first before choosing and buying a speaker. The first thing to consider is your budget. Prices of speakers will depend, of course, on different factors like brand, quality, and model. However, in general, powered speakers are more expensive than unpowered speakers. But, you should also take into account that when you buy an unpowered speaker, you would also have to buy a separate amplifier. To know which choice you will be able to save more, you should not forget to compare the costs after you have added the cost of the amplifier to the cost of the unpowered speaker. The second thing to consider is its purpose. If you use it for personal use or small events in small venues like in seminars or meetings, you will do fine choosing a powered speaker. Just the output from one powered speaker is enough to support the entire area. However, for bigger events or places that require a larger sound installation, it is recommended to opt for unpowered speakers. 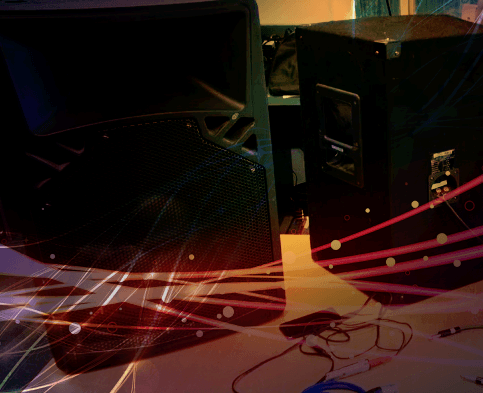 This is because larger sound systems would require more speakers and a huge amount of power. By keeping the amplifier separate from the speakers, the probability of overheating is greatly reduced. The next thing to consider is your knowledge and experience regarding sound systems. Powered speakers are recommended for beginners because the built-in amplifier and the speaker itself are already factory-matched for safety in usage and optimum sound production. You will not have to match amplifiers with speakers then tweak with the sound mixer because everything is preset. On the other hand, unpowered speakers require a deeper understanding regarding the technicalities of sound systems. One reason for this is because not all speakers can match with any amplifier. Certain compatibilities concerning their power ratings and impedance should be considered. If incompatible speaker and amplifier are set up, there will be a risk of not getting the desired sound quality, or worse, the equipment blowing up. This would pose hazard not only on the equipment but also on the people nearby. Another reason for needing advanced knowledge of sound systems before getting unpowered speakers is that amplifiers also act as mixer or equalizer. Unlike in powered speakers where sound quality is already optimized, unpowered speakers require proper tuning of different sound levels to produce quality sounds. Failure to do so would mean subpar sound quality in your events or gatherings. Conversely, if you are good in sound leveling and mixing, unpowered speakers would give you more room to experiment and produce the sound you desire. If you are planning to upgrade your sound system in the long run, unpowered speakers would be the right choice. This is because you can upgrade the hardware piece by piece. For example, if you want to replace your speakers, you can swap it out for a new one and retain your amplifier. Or if you have a 4-channel amplifier but only have two speakers, you can always buy additional speakers and connect it easily. Conversely, upgrading on powered speakers would essentially mean having to replace the speaker-amplifier combo every time. You also won’t have the choice to connect equipment easily. This is not too practical when you think of it in the long run. Before buying, you should also consider the cost and trouble it would take for maintenance and repairs. In unpowered systems, you can easily swap the broken element for a new one while having the broken piece repaired. You don’t have this choice when you are using powered speakers. Since the amplifier is built in with the speaker, you will have to take the entire unit for repair instead of having it repaired piece by piece. The last thing to consider before buying a speaker is its portability. If you are a DJ or in a band, and would want to move the speaker from one location to another frequently, it would be better to choose the powered speakers. Even though it is heavier than the unpowered ones, it is easier to travel because the amplifier and speaker itself is built in together. There would be less equipment to pack. On the other hand, packing unpowered speakers would also mean packing amplifiers and more signal cables. Overall choosing the right type of speaker does not depend entirely on just one factor. You should really consider everything and weigh the pros and cons to see what the best option for you is.